Distributes food to elderly, low-income members of our community. 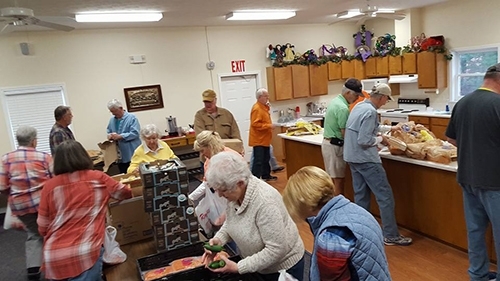 Several years ago, Red Ridge United Methodist Church (RRUMC) discovered a program that would provide much-needed food to elderly members of our community with low incomes. For $80, RRUMC could provide elderly residents two bags of food every month for a year, hence, the name “Brown Bag”. The food was good quality, consisting of canned, fresh, and frozen items provided by the East Alabama Food Bank (EAFB) in Auburn. RRUMC recognized the program as a great mission opportunity and agreed to be the focal point and distribution hub for our area. The congregation and community response was tremendous, and today we continue to provide food every month to nearly 100 elderly residents. EAFB sends the food by truck to RRUMC the third Friday of each month. Church volunteers unload the truck around8:15 amm, sort and repackage as required, and then distribute the food to those who qualify until approximately 10:30 am. All are welcome to participate in this worthwhile program, simply show up at the church at 8:00 the third Friday of any month. You will enjoy the fellowship and satisfaction of “giving back” through this community ministry. Funding for this program is provided through a year round campaign. With only occasional reminders, we garner donations throughout the year. When we reach our annual goal, subsequent donations are “banked” for the next year’s requirement. Make checks ($80) payable to “East Alabama Food Bank” or “EAFB, marking the memo section for “Red Ridge Brown Bag”. You can mail your check directly to EAFB, 375 Industry Dr, Auburn, AL 36832 or simply place it in the offering plate on Sunday. Friday Friends meet on a regular basis for fellowship and friendship as they celebrate life and build their relationships with God and each other. The ‘Friends’ meet socially every Friday at 5:30 PM. See the church calendar for details. Red Ridge UMW is an organization of Christian women who meet monthly for fellowship and to support the ministries of our church. These ministries include: Girl’s Ranch, Back-Pack program, Manna and Quail (meals for the seriously ill or bereaved), Brown Bag, Angel Dolls, Jail Ministry, Crisis Center, Books for Children, United Methodist Children’s Home, Shoe Box, and Red Bird Mission. UMW is also responsible for decorating the church at Christmas, providing holiday baskets/gifts for back-pack recipients, and supporting a community-wide ladies brunch/luncheon. 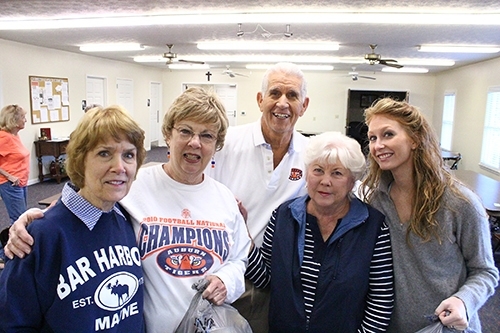 The UMW takes several annual field trips to sites related to the ministries they support. 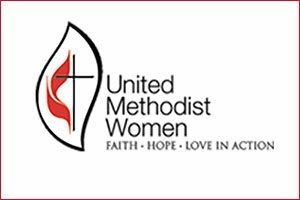 All women who attend Red Ridge UMC are members of United Methodist Women. As a member, you encouraged to attend and become an active part of this group. The Nursing Home Ministry at Red Ridge United Methodist Church touches the lives of more than 200 people. These include both staff and residents at the nursing home operated by Dadeville Health Care in Dadeville, Alabama. Red Ridge volunteers visit residents with special needs, including the bed-ridden and those who have few regular visitors; play Bingo with them on a regular basis; operate a clothes closet; and provide transportation to Red Ridge every Sunday morning for some. At Christmas, Red Ridge provides presents for some residents and for the staff members who perform the daily tasks of patient care. 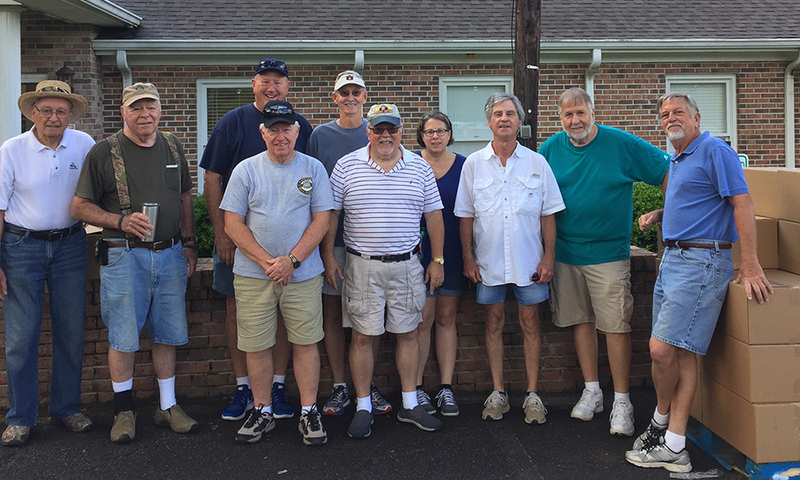 The Nursing Home Ministry is an inspiration to the volunteers and much appreciated by the residents and the staff of Dadeville Health Care. Those interested in volunteering for the Nursing Home Ministry should contact Beth Cox at 256-307-8712 or dwaynecox1@charter.net. Provides meals to families during illness or loss. 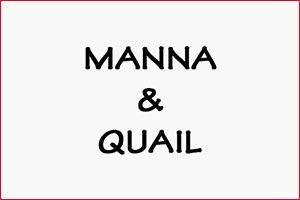 Manna and Quail point of contact who coordinates the meal. The appropriate committee then prepares the meal and delivers it to the location at the time requested by the family. Provides tutoring and a summer enrichment program to Ranch residents. With the assistance of other members of the community, the church provides tutoring to the girls on a weekly basis on all of the courses that the girls enroll in at Reeltown High School. (Chemistry seems to be our greatest challenge). Field trips serve as academic achievement awards. Our summer enrichment series includes arts & crafts, book club, life skills instruction and exercise (water aerobics). We provide encouragement and motivation to girls for continuing their education, building their self-esteem and improving their social skills – all sprinkled with Christian compassion. 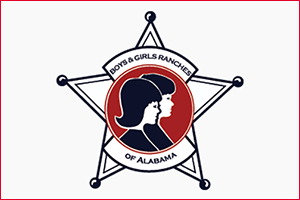 Visit the excellent boysandgirlsranches.org site for more information on this important statewide program. A series of dinner parties that help members get to know each other. Grateful Bread is a small group program that seeks to help people get to know one another by gathering for fellowship over breakfast, lunch, or dinner. Three times a year, people interested in this program are subdivided into groups of 6 members each. Typically, over the next 3 months, they meet at three different homes for fellowship and a meal. Often the gathering includes new members, neighbors, relatives, old friends and/or church members who could not commit to three meetings. 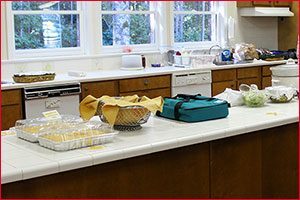 A “host” plans the meal and may ask participants to bring a portion of the meal. Singles regularly participate, both as hosts and co-hosts. The program takes a break November, December, and January. 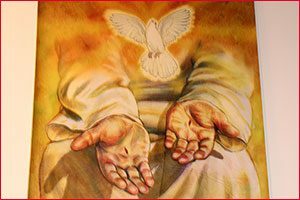 Provides Christian love and spiritual support to inmates through visitations, counseling, and witness. 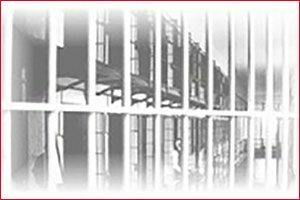 In January, 2012, RRUMC began our Jail Ministry to bring Christian love and spiritual support to inmates in the Tallapoosa County Jail. During biweekly visits, pastors give devotionals and volunteers distribute supplies which include THE UPPER ROOM, puzzles, and stamped greeting cards. At the beginning of each session, the inmates sign in on a Prayer List which is later posted on the bulletin board in our Fellowship Hall. Distributes free books to children at the Loaves and Fishes food pantry. 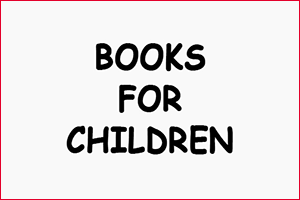 Books for Children gives reading, coloring and puzzle books to the children of the families who are recipients of food at Loaves and Fishes, a weekly, local food distribution point for the needy. These children can keep the books, never having to return them, thus building their own libraries. Both children and parents are so excited about this project, as there are typically few books at home, and they know the value for early readers. Having their very own storybooks not only helps them learn letters, words, and concepts, but also develops imagination, confidence and a love of learning. Something as simple as Clifford the Big Red Dog, Thomas the Train, or Dr. Seuss may very well introduce a child to a lifelong love of reading and learning. 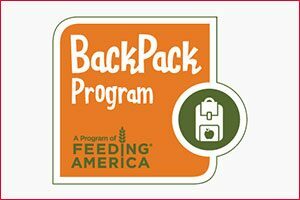 This program helps fight children’s hunger by providing nutritious, easy-to-prepare food for the children to take home in their backpacks each nutritious, easy-to-prepare food for the children to take home in their backpacks each weekend during the school year…giving to those in need at a time they need it most. For more information visit Backpack Program online. Creates precious angel dolls for distribution to children and elderly in need. 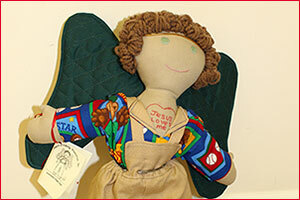 Red Ridge Angel Doll Ministry creates precious angel dolls for distribution to children and elderly in need. It may be asked what effect a rag doll may have? The doll lets the individual know that someone loves and cares and they are not alone. It indicates a resolve on the part of caring adults to reach into the community to help. The Ministry provides dolls to Juvenile and Probate courts, Harvest Evangelical Ministry, Adullam House, Wetumpka, AL; Big House foster care facility, Lee County; Operation Santa Claus, Lee County; individual ill children and adults; and nursing homes. The dolls help the agencies to get a child to talk so their problem can be understood. 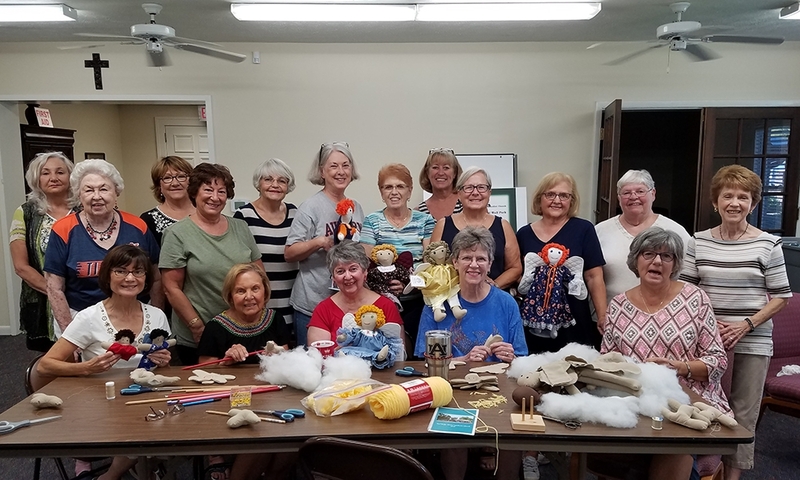 About 15 ladies regularly participate meeting the 1st and 4th Tuesday of each month 10:00 a.m. to 2:00 p.m. in the church Fellowship Hall. The ministry is open to the community and some ladies are not members of Red Ridge. The dolls and clothing are made from scratch which includes cutting, stuffing, sewing, and embroidery. Some ladies sew clothing and do embroidery on faces from home. This Ministry has made and given away over 10,000 dolls since its inception. Donations or sewing materials are appreciated which include fabric, ribbon, lace, elastic, scissors, embroidery thread, regular thread, yarn, and pins. Financial contributions are tax deductible. Would you be interested in participating in this ministry? For more information, contact Gerry White, pete_white80@aol.com or Red Ridge 256-825-9820. 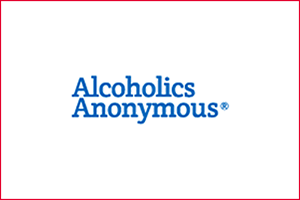 Red Ridge provides facility support each Sunday for Alcoholics Anonymous, the international mutual aid organization whose “primary purpose” is to help alcoholics “stay sober and help other alcoholics achieve sobriety”.